As a photographer, I am drawn to emotion. Now I know that many of you reading this have probably already rolled your eyes back into your head with a sigh of "Of course you are drawn to emotion. 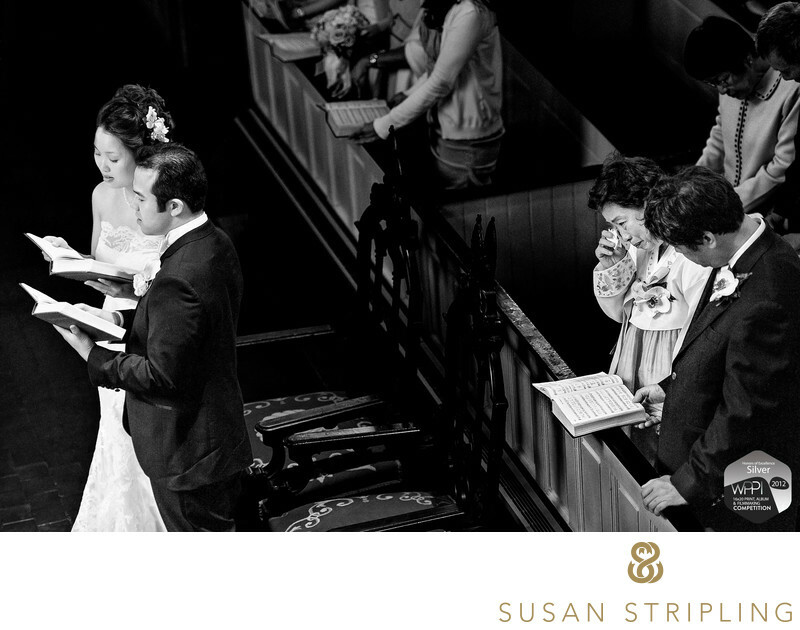 Every wedding photographer bio that I’ve ever read proclaims that they love love!" It might sound schmaltzy but it’s true. Now, I don’t OMG LOVE LOVE like some 22 year old, listening to Taylor Swift and making fun of ex-boyfriends and wearing hipster glasses and a fedora. I don’t love over the top cheese, I love the dignified beauty of quiet moments. This image is a perfect example of that. When choosing images for competition I am extremely strict with myself when picking my images for the photojournalism divisions of the competitions that I enter. The gold standard of competitions is the WPPI 16x20 International Print Competition and my favorite category in that entire yearly competition is the Photojournalism Division : Wedding Photojournalism category. This category of this competition is precious to me because it’s pure. Entrants have to enter their original digital file next to their final print so that the judges can see that the images are true and un-manipulated. This way nothing can be staged, faked, or "done in Photoshop." The only things done to this image in post-production were a black and white conversion and some simple dodging and burning. I absolutely love the timeless, genuine emotion in this image and was pleased to see it score well at competition in 2011.Keywords: philadelphia (435). 1/320; f/2.8; ISO 7200; 125.0 mm.